- deutsch (unten im Bild) beschriftete Löffelchen. Once medicines were no longer ordered in single doses, medicine spoons such as this graduated one became necessary. 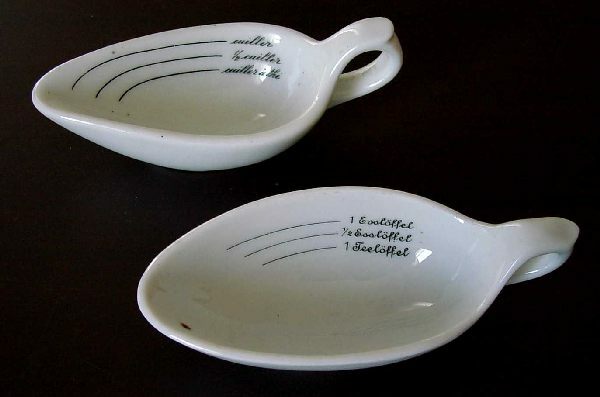 This is made of porcelain and is marked with the measurements tea, dessert and table spoon. They were available for sale as well as used by the chemist himself.